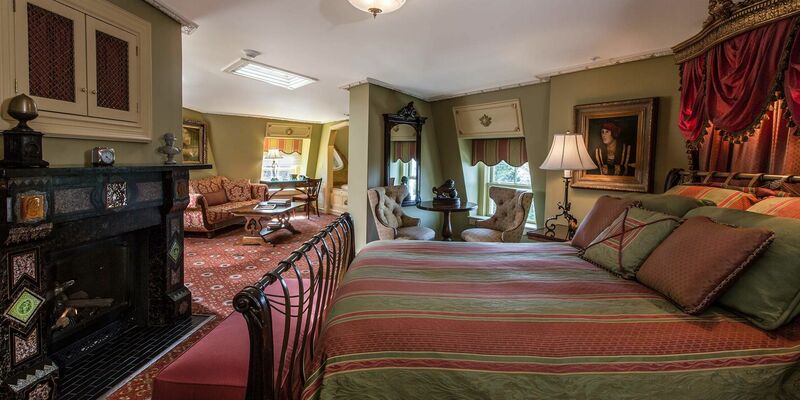 Discover one of the top hotel suites in Rhode Island. Be welcomed by inherently opulent styles that originated in France under Napoleon when you enjoy a stay at our Empire room, an enchanting junior suite overlooking Easton’s Beach. Adorned with imperial Roman ornamentation and decoration, this suite near Easton's Beach features distinct living and sleeping quarters. Our only guest room that stretches from the front of the mansion to the rear, this room overlooks the lush Chanler gardens and the Atlantic Ocean. Relax in an oversized bath with triple showerheads and enjoy a good night’s rest in a luxurious and plush sleigh bed. The Empire Room is located on the third floor and requires climbing two flights of stairs. Please note: The Chanler does not have an elevator. 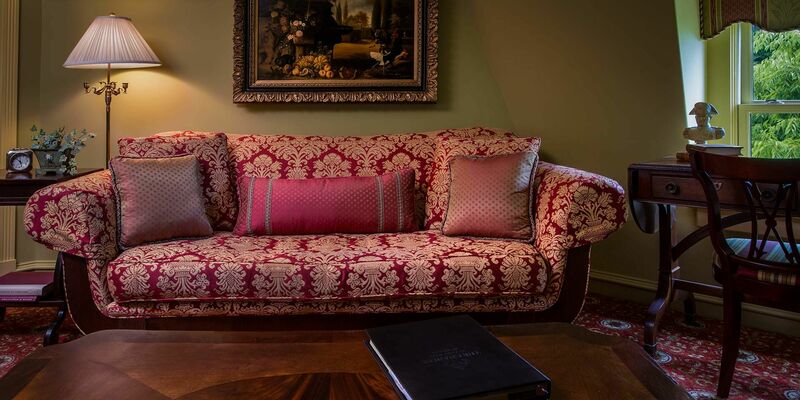 From hand painted features to intricate décor that brings you back to the rule of Napoleon, you’ll appreciate the fine details of this well-appointed junior suite.